Exactly 10 days after the Uri terror attack, Indian Army carried out surgical strikes on terror camps in PoK last night, the Director General of Military Operations (DGMO) said at a briefing on Monday. “Significant casualties have been caused to terrorists and those trying to shield them. We don’t have a plan to further conduct such strikes. India has spoken to Pakistan,” DGMO Lt Gen Ranbir Singh said. “Based on credibel information that some terrorist teams had positioned themselves at the Line of Control, the Indian army conducted surgical strikes last night on terror launch pads across the LoC. 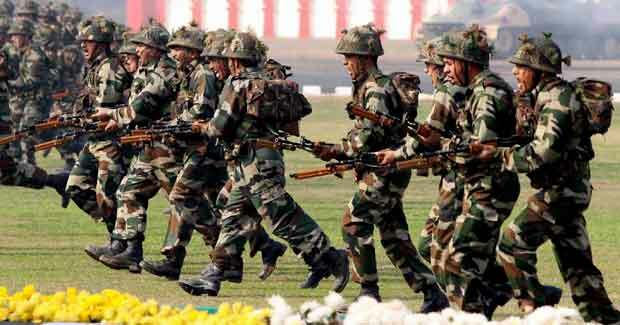 The operations were focused to ensure that terrorists do not succeed in their plans for infiltration,” the DGMO said. No Indian casualties occurred during the surgical strikes that were carried out last night by the Indian Army. “We have recovered items including GPS which have Pakistani markings. Captured terrorists hailing from PoK or Pakistan have confessed to their training in Pakistan or in Pakistan controlled region,” Singh said. “I spoke to the Pak DGMO, shared our concerns and told him that we conducted surgical strikes last night. It has been a matter of serious concern that there has been continuous infiltration across the Line of Control in Jammu and Kashmir,” said Singh, in a joint press conference with Ministry of External Affairs spokesperson Vikas Swarup in New Delhi. Meanwhile, Pakistan, in a statement issued has said: At least two Army men were killed as Indian and Pakistani troops exchanged fire over the Line of Control in “Azad Jammu and Kashmir”. The exchange of fire began at 2:30am, ISPR said, and continued till 8:00am. “Pakistani troops befittingly responded to Indian unprovoked firing on the LoC in Bhimber, Hotspring Kel and Lipa sectors,” the statement said. India had repeatedly warned Pakistan not to allow its territory to be used for terrorist activities. Besides, India had called for an international diplomatic boycott of Pakistan as it shielded terrorists on its land. At the United Nations General Assembly, External Affairs Minister Sushma Swaraj said Pakistan was a terror state and it need to rein in terror elements.